Iridology is an eye interpretation technique which correlates markings in the iris (the coloured portion of the eye) with the person’s internal states. 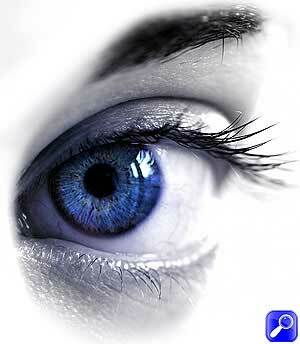 Iridology concerns itself with your physiology or physical condition. Rayid embraces your whole person - body, emotions, mind and spirit. Iridology does not diagnose diseases, iridology diagnoses or analyzes tissue conditions in specific areas of your body. This reveals inherent strengths and weaknesses of organs, identifying deteriorating conditions before serious symptoms appear. Both these interpretive techniques are accurate, reliable and extraordinarily useful in determining the true state of affairs in your life. The markings or signs in the iris indicate the condition of your organs and systems of your body. They will show your constitutional strength, areas of congestion or toxic accumulations and inherent strengths and weaknesses. 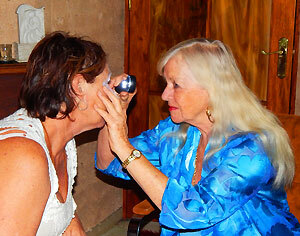 Iridology is a simple, painless, economical and non-invasive way to observe what is happening throughout your body. About eighty percent of diseases in the world are of a chronic nature. Chronic diseases are diseases of long duration and generally slow progression. They include heart disease, stroke, cancer, chronic respiratory diseases, asthma and diabetes (to name just a few) and are by far the leading cause of mortality in the world, representing 60% of all deaths. What is Iridology useful for? The internal physical condition of chronically-afflicted patients can be better monitored in the iris of the eye than by possibly any other method: including modern imaging techniques such as MRI and CAT scans. I have often been able to identify the source of a condition with a brief (less than 1 minute) examination of a client’s iris - a condition which has, in many instances, remained unidentified or mis-identified by mainstream health care for years. Iridology is especially valuable for monitoring chronic disease, as it gives accurate insight into the tissue changes and the progress or remission of the condition. One of the things I really appreciate about Iris work is its ability to reach across barriers, attitudes and beliefs and to bring a sense of relief and understanding. When I can put a condition or concern in its true perspective, many clients feel an immediate relief and lightness as their fears of the unknown are eliminated and they become empowered with knowledge of what they can do to eradicate the problem. The history of Iridology  dates back as far as the early Chaldeans, with a Physician mentioning in a book as long back as 1670 the ability to read the eyes for diagnostic purposes. The true originator of Iridology was Dr Ignatz von Peczely  (1826-1911), a Hungarian Physician. I am a qualified Iridologist and Trainer, taught by Dr. Bernard Jensen  , regarded by many as "the Father of Iridology today". 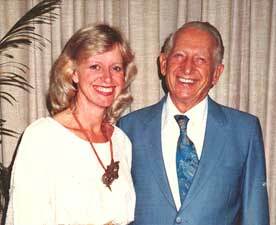 I have spent time with Dr Jensen at his ranch (the “Hidden Valley Health Ranch”) in Escondido in California where I was able to study many aspects of his work which has greatly influenced my life and work at Middle Path. My charges for this work are available on the fees page - an appointment is essential. You can make an enquiry here or an appointment here. A typical iris interpretation or iris examination consists of short periods of having your irises examined visually, using a hand-held magnifying torch. These brief looks are interspersed with question-and-answer sessions to help identify your experience of the conditions I observe in your Irises. I will also be recording some of the findings in my client records as we go along. The interpretation will use both your eyes so that I will be looking in both of your eyes. Fergus does Rayid Iris interpretations using a digital iris camera so that you can see the features as he talks about them. Read more about Rayid interpretations, which we call Personal Insight. 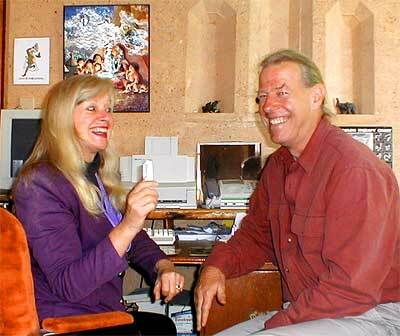 Iris interpretation sessions usually take about 1 hour and the charge is AUD$100.